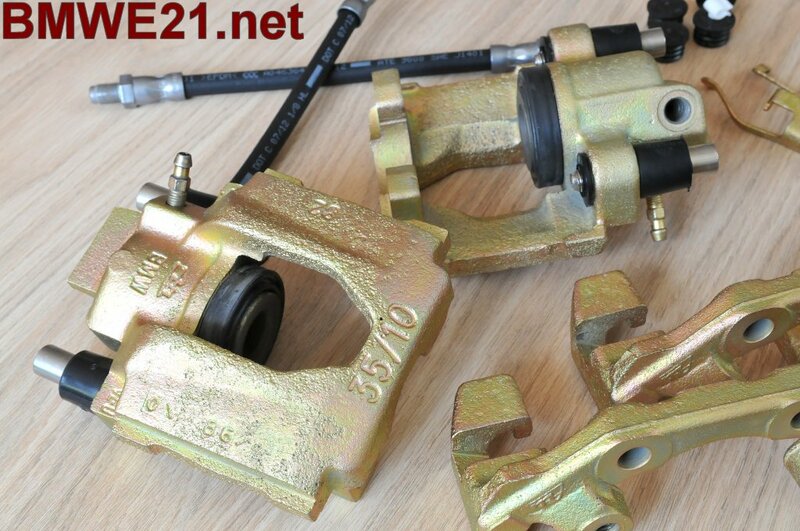 It is easy to replace the 323i's rear calipers with E30 examples. They work better and there are still some performance pads available like Ferodo DS2500 that I chose. 3. notch between these holes needs to be removed. 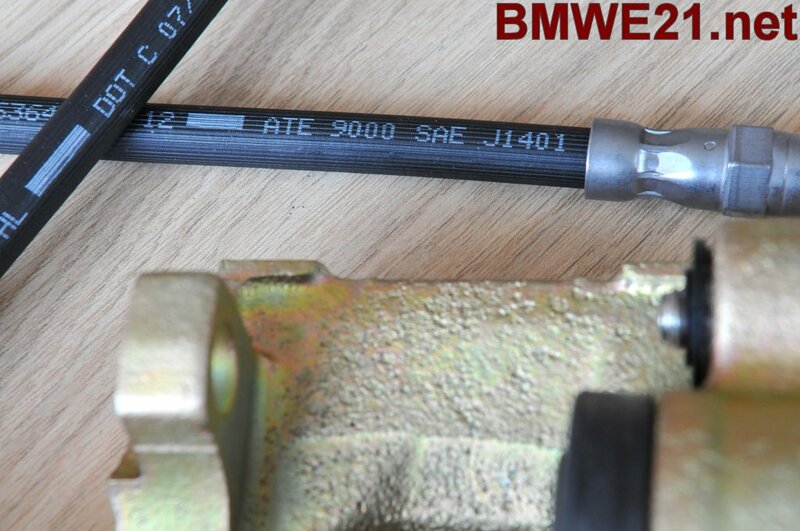 Required brake hoses: E30 examples instead of E21. Stock size fits, slightly shorter looks better but stock hoses fit ok already. Discs can remain stock E21 323i. Will post pics when fitted as well. Thanks to Arnold D for putting in all the effort! Thanks guys! If I look at my brake discs after 3 years of use, I can conclude that the stock brakes weren't doing much more than just polishing the disc. 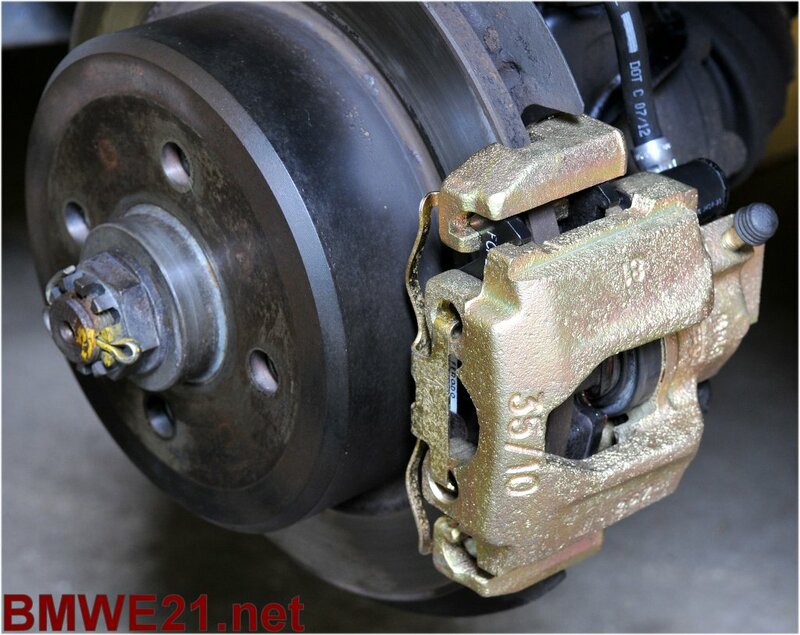 Instead of a brake overhaul, this should bring even more stopping power. Curious what it will bring, will update after my first test drive, hopefully later this week. My E21(s): E30 316 1986 Wit. Did you paint them gold yourself or did you buy them that way ? I actuallly have an E30 but with rear drums instead of discs but would like the upgrade someday in the future. 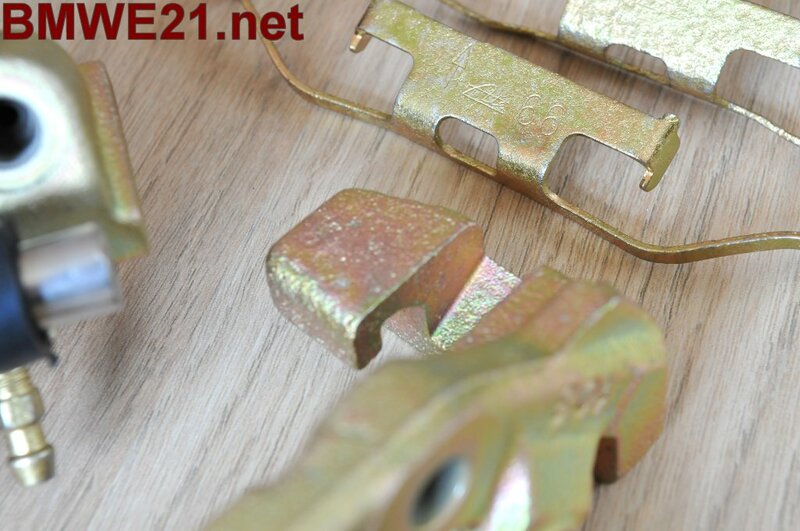 Martin318, calipers are not gold painted for Royal bling, they are galvanized or to say zinc "painted". Hi, I just found this post on Facebook and came here to ask a question. I've been struggling for months to get a Massive Brakes Wilwood kit on the rear of my 323i, but caliper/wheel and wheel/arch clearance issues have got the better of me. I've wasted money on new wheels and bolt on adapters but I have so few millimetres to play with that I don't think I'm gonna get them on without dropping down to a 195 tyre. There is already too much power for 205 width Toyo R888s, so that's not really an option. Good news is the WIlwoods fit perfectly up the front, so all I really want to do is go for a mild upgrade to the rears and be done with it. So hence finding this post was a great thing, thanks Jeroen! 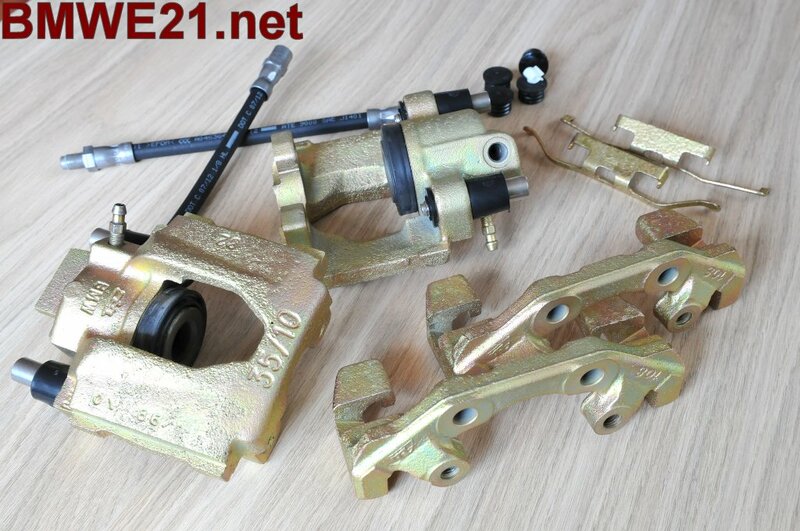 Anyway just one question, does anyone have the part numbers for the calipers and brake lines? edit: sorry guys I should have spent a few more minutes on Google! I think I've found the ones, but if someone could confirm that would be great, thanks. You're welcome, glad to be of help! 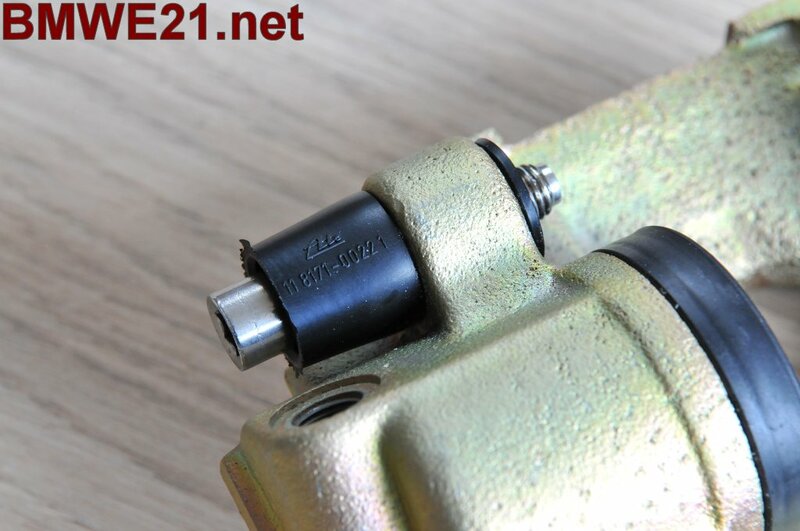 Calipers are correct, just the stock rears from the E30 318i and 325i combined with the regular matching E30 brake hoses (E21 examples do not fit as the connection on the caliper is different). Some decent pads but with these calipers there's enough choice. Enjoy! Thanks Jeroen. I put together a shopping list this morning but then measured my original rear discs and they're a different size to what is listed online. 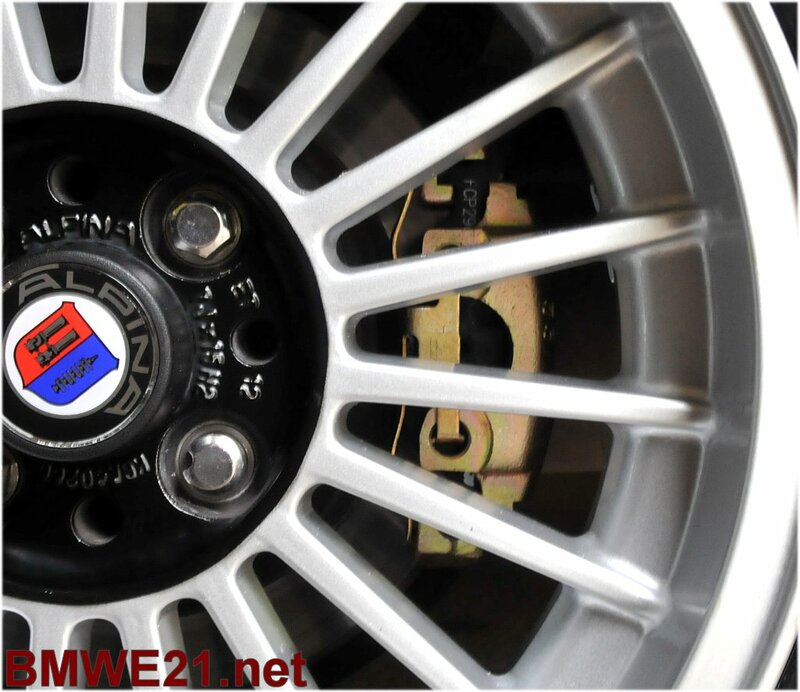 Rear E21 rotors are listed as 258mm diameter, 60mm hat height. The rotors that were originally on my car are 280mm with a ~55mm hat height. They're definitely not E21 rotors as they started life as 5 stud and have been drilled for 4 stud, but they sit nicely against the hub and are only a couple of mm away from the heat shield (which I've since bent back to fit the Wilwood rotors). 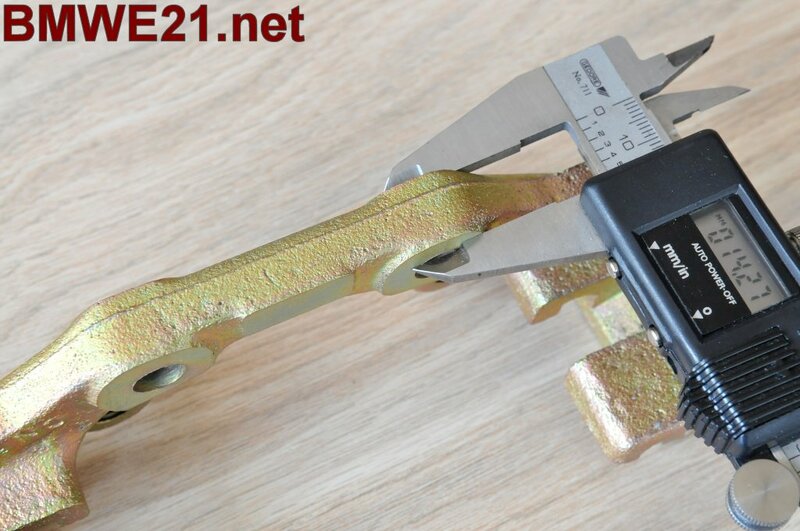 The caliper (not sure if this is original E21 either) also fits fine. I thought before I order new parts and waste more money, I'd throw some pics up here to see if anyone could identify whether my hubs look original. One big difference is mine have studs and the pics above do not. Hopefully there's no problem with these pics being in this thread, I can create a new one if it doesn't belong here. good you did some measuring beforehand then! can't tell about the hubs myself, anyone? I've been searching for a while now and I can't figure out where the rotors are from. 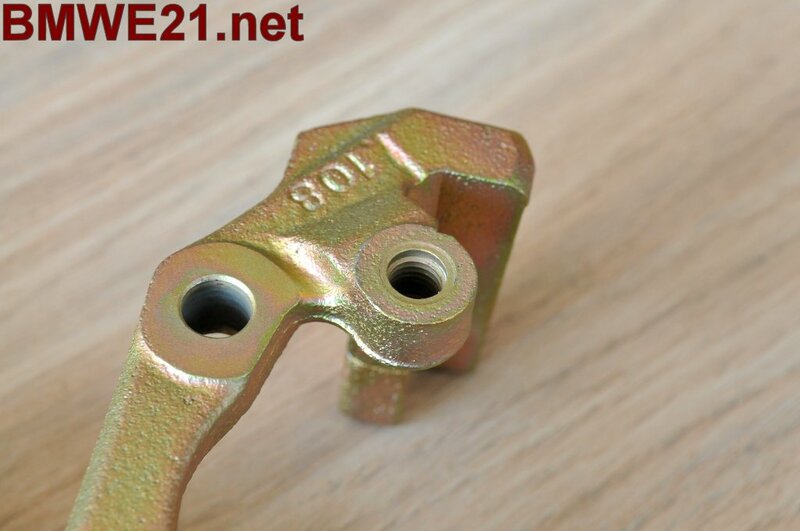 They're similar to E28 but 4mm too small. Also I don't believe the hubs are modified, because this 280mm rotor was actually rubbing on the heat shield due to its lower hat height. 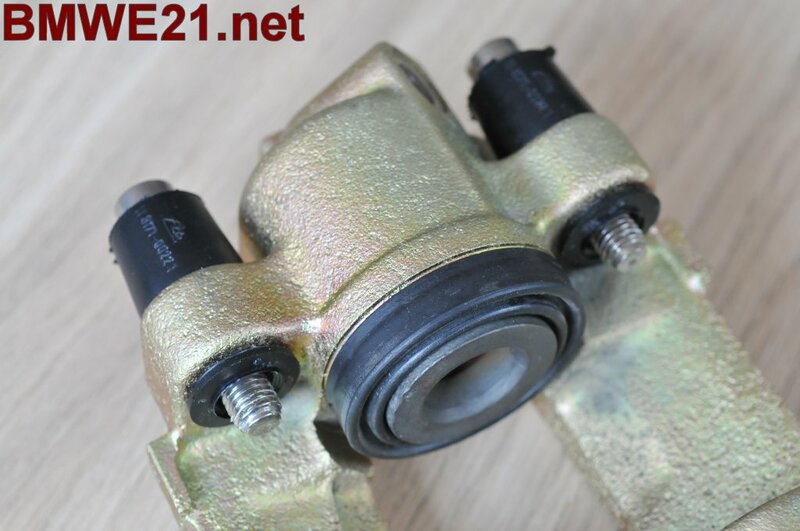 Going by your photos the single piston E30 calipers don't seem to be a significantly larger than the twin piston ones that were on the rear of my car. I'm going to clean the rotors and calipers up, find new pads and combine them with the smaller of the Wilwood calipers up front (that were destined for the rear). Hopefully that provides a decent, balanced braking force without the need for a bias valve. I can understand your choices. 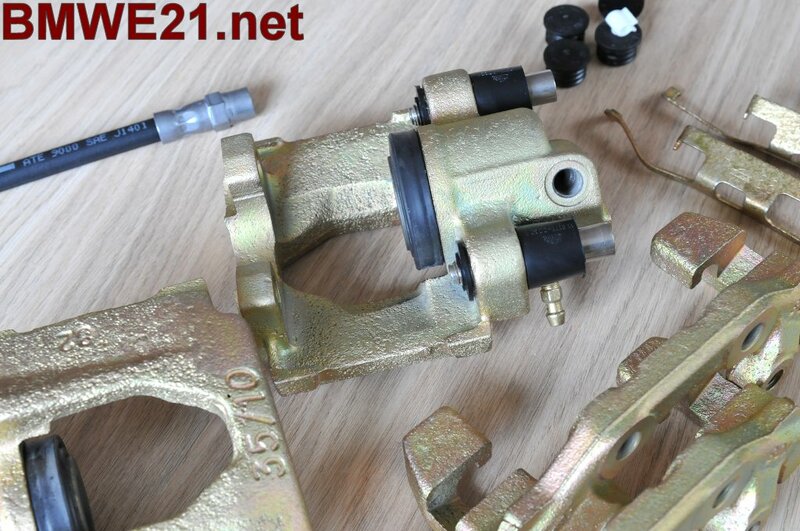 For the Dutch bunch the move to E30 rears had the following reasons: E21 rear calipers being up for an overhaul anyway as usually people only focus on the fronts. 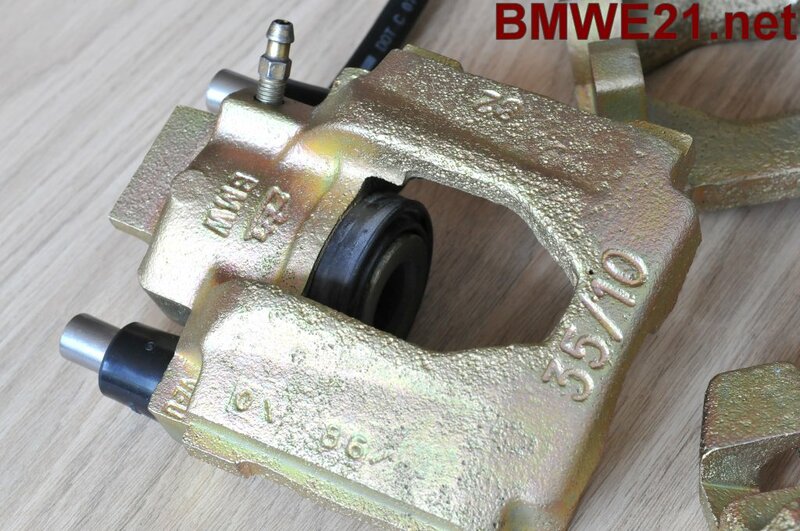 With the E30 calipers widely available and hardly requiring any mods they offer a slight upgrade but above all a wider range of pads to choose from. Got the brakes on today and took my bimmer for a drive for the first time in 8 months! Was such a great feeling to get it out on the road again, I forgot how ridiculously powerful this car is! Found out a few days ago that the rears are actually off a W202 Mercedes C class, and I calculated piston and pad area to be greater than the E30 rears, so I'll be sticking with them. Just need to get some new pads, probably EBC Redstuff. I'll keep the Massive/Wilwood rears for the time being, never know when I'll want to get crazy and have those rear arches modified. The brake force is much improved with the Wilwoods up front, but without the booster it's still unfortunately not enough to get it on the track. Good enough to have the occasional blast out on the open roads though. Next job is to research remote brake boosters. And engine cooling, the turbocharged M20 was rocketing towards the red on the temp gauge as I followed the Wilwood bedding in procedure! Anyway, thanks for the input Jeroen and for maintaining this great site and forum.